Lawyers who provide legal services for insurance companies -- often referred to as "Insurance Defense Counsel" -- are obligated to follow the same rules of professional conduct as lawyers who handle personal injury cases, more commonly known as "Personal Injury Lawyers," and "Plaintiff's Counsel." However, based on the volume of legal opinions that address legal malpractice committed by all lawyers, the majority of legal malpractice claims are against Personal Injury Lawyers. Hence, a body of law and even ethical standards seem to focus more on how Personal Injury Lawyers handle their cases, than their Defense counterparts. But, of course, in reality, all lawyers must equally follow stringent guidelines on how they handle their clients' cases. While there are many distinctions between these two opposing types of law practice, one notable reason that Insurance Defense Lawyers rarely get sued for legal malpractice is because their other client, the insurance company, usually has to accept the consequences of how the case was handled by their retained defense counsel. This is so because the insurance company controls how the defense is presented. Hence, the insured defendant who committed negligence for causing a collision usually is not held responsible for poor performance of their assigned defense counsel. But this is not always the case. Consider the case of Nicole Hilson, a 16 year-old girl from Florida who caused an automobile collision. She was insured by Geico Insurance Company, who provided one of their own defense lawyers to defend the legitimate claim for injuries of the plaintiff. Geico was not successful in getting the claim settled and the case went to trial, and the jury rendered a seven-figure judgment against Geico's insured. The law firm of Swope, Rodante P.A. took Geico to task for failing to do all that was required to protect its insured from such liability. Another jury held Geico and its defense lawyers liable for bad faith in how they defended the original lawsuit. Consider further a case involving a Pittsburgh defense firm’s handling of a personal injury case, where the defense lawyer failed to disclose an expert, which was vitally important to the defense of the case. This failure to name an expert prompted the insurance company to pay the full one million dollar policy limit to settle the claim. The insurance company did not take this loss lying down --- they prosecuted a legal malpractice claim against their own retained defense counsel to get their money back. Defense counsel, more now than ever, are under severe pressure by their insurance company clients to minimize legal bills. This is especially true when the amount of policy limits are inadequate to fully compensate the injured parties, and the insured defendant has other assets that are being pursued. This scenario saddles the insurance company with more legal bills than they want to pay, and as a consequence, defense counsel do not perform all the necessary work on behalf of the client. If you were represented by an Insurance Defense Lawyer chosen by your insurance company, and were adjudged by a jury to be responsible for damages that exceed your policy limits, then you may have a legitimate claim against your insurance company and defense lawyer for not doing everything they were required to do to protect you. 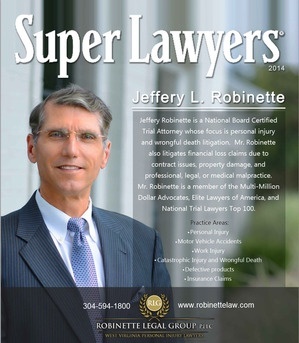 Robinette Legal Group provides representation of injured parties, including defendants who were not represented properly by their defense lawyers. Call Today for a Free Consultation: 304.594.1800.